The route begins in Madrid, heading north of Spain and southern France, focusing on the Basque province of Guipuzcoa and the French side of the border. Best time to visit this region is from June to September, main towns are kind of overcrowded in July and August. I would not recommend to travel in winter, for Guipuzcoa is the coldest part of this region. Jaizkibel Massif, by the shore of the Cantabric Sea, linking the towns of Hondarribia and Passaia. 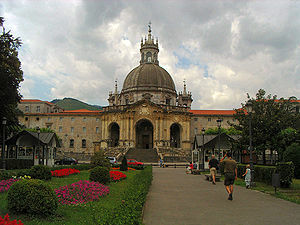 The region is rich in historic and artistic sites, as the Loyola Basilica in Azpeitia, the Shrine of Aranzazu and the monumental towns of Onate and Bergara. 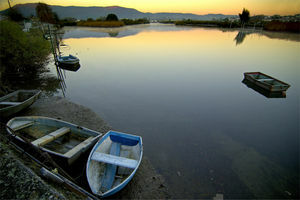 Gastronomy Societies named Txocos. The txocos are traditional private clubs in which the members themselves cook. You must be invited by a member of the society in order to form part of the society. Regular and special markets. The Ordizia rural market on Wednesdays is worth a visit. We will travel around the border towns of the Basque Country, besides visiting St. Jean de Luz and Biarritz on the french side and the town of Hondarribia on the Spanish side, the fishing villages of the Pasaia -the Pasai Donibane is the best of the four. On the western coast the seaside towns of San Sebastian, Getaria and Zarauz and inland, the Green Guipuzcoa. Leaving Madrid, take the A-1 highway from Madrid to Vitoria, then take the A-10 towards Pamplona in Navarra, then cross the border to Sare, in the French Basque Country and finally drive to San Sebastian, the capital of the Guipuzcoa region. It will take about 6 hours -without stopovers- to arrive to SARE, the first stop. The better way to prepare your trip is to take a look to the VIA MICHELIN website, a very complete guide which offers route planners, driving directions etc., even calculates your toll and fuel costs, plus hotels and restaurants if you are hungry or sleepy. Pamplona is a good place to stop to have lunch, and then continue your way to Sare. The ground floor or Restaurant Baserriberri, C/San Nicolas 32, houses the pintxos (tapas) bar and the restaurant is on the top floor. The food is great and the pintxos are amazing. Baserriberri has won many gastronomic awards and gold medals. I have a good recommendation if you prefer to stay overnight near Pamplona. In the heart of the forest of Beruete, in the Basaburua Valley, the hotel and restaurant of charm PERUSKENEA is a good choice. The hotel is 38km away from Pamplona and 1h 32 drive time to Sare. I strongly recommend not to take the highway, it may be the quickest route but you will miss the beautiful views of the N 121A. This road skirts the Bidasoa River, a paradise for fishing lovers in the province of Navarra. Unique forests of chestnut trees, oak trees, beech trees and small villages make the landscape breathtaking. Our first stop. Sare is a lovely village next to the Spanish border in the French Basque Country, where you will sense the experience of living in one of the 100 most beautiful towns of France. Sare is half way to San Sebastián, St Jean de Luz, Biarritz and border towns as Zugarramurdi and Urdax. The surroundings are spectacular, besides you will feel the tranquility and the real spirit of the region. Hotel Arraya (+33/0)559 54 20 46). The hotel is a XVth century residence, simple and elegant, with an excellent restaurant and a lovely boutique with gastronomic delights. Hotel Ithurria in Ainoha, one of the four border towns, together with Sare, Zugarramurdi and Urdax. The Isabal family runs the hotel, a 17th Century Basque building and the restaurant, where the food is excellent. In the French basque country you shouldn´t miss the “chuleton de buey”(large T-bone steak) and the scrambled eggs with mushrooms and asparagus, typical dishes of the local villages. Also a specialty is the “zikiro”, roasted leg of lamb, marinated with olive oil, sherry vinegar, garlic, salt and pepper, best cooked at Venta Halty, between Zugarramurdi and Sare. For a sweet ending, try the Gateau Basque. The fishing port of St. Jean de Luz offers tasty grilled fishes and seafood, seasoned with olive oil, salt and pepper, and “pimientos de piquillo” (roasted red peppers). Any restaurant at the Rue de la Republique will be a good choice. If you happen to be in Sare on Easter Sunday, don´t miss the local market where every housewife bring their food specialties to an open market. Sare, Ainhoa, Zugarramurdi and Urdax are the border towns of the Pirineo Navarro. Half an hour is enough to visit the small and beautiful village of Sare, but you will enjoy a lot the morning walks along the surroundings. Green hills and valleys, small cottages on the top of the hill, sheep and cows spotting the view, rivers flowing through the valleys. The route of the caves begins in Urdax, and is better to do by car. The myth of the Basque Witches says these caves were the place chosen to celebrate the “akelarres”, pagan rituals which lasted until dawn. In 1610, at Zugarramurdi, the Inquisition prosecuted almost 50 people charged of witchcraft. Eleven witches where burned at the stake. The fishing port of St Jean de Luz is not longer the village it used to be, but the Old Town and the port worth a visit. The Rue Gambetta is the main road, full of restaurants and bars. The Hotel du Palais in Biarritz brings us memories of the Belle Epoque, and the beaches (paradise for surfers) are beautiful. Maison Ortillopitz. 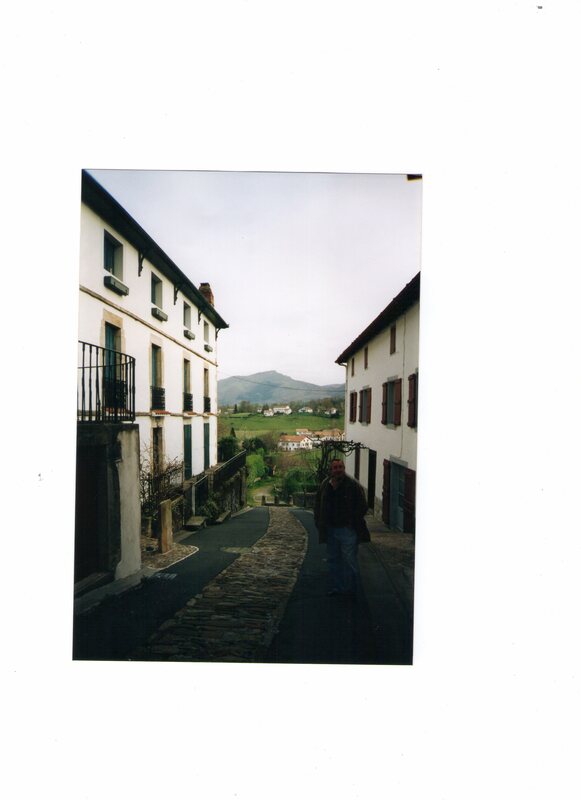 A true basque home from 1660, in the top of the town of Sare. It shows in the inside a recreation of the 17th Century way of living. 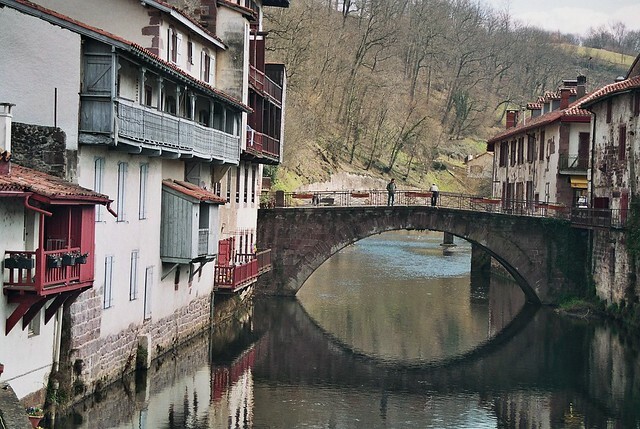 ST JEAN PIED DE PORT An attractive town along the river Nive, capital of Basse Navarre. BIARRITZ Visit the Place St. Eugenie and stroll along the PromenadeFishing Port. Here there are excellent restaurants for a romantic dinner. A very nice route is the one that goes along the Corniche Basque. Leave Sare towards Ascain and Ciboure. Then follow the Route de la Corniche towards the Boulevard de la Mer. 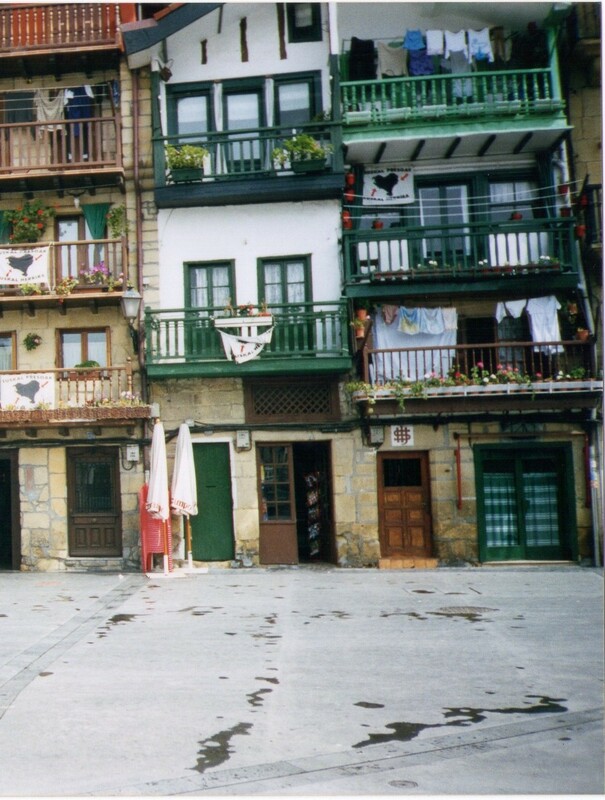 After reaching Hendaye, cross the border and follow directions to Hondarribia. The historical Hondarribia is a picturesque fortified town, a blend of cobbled streets, monumental sites, iron balconies, ancient houses former residence of nobles showing the coat of arms in the front door, and fishermen houses in the seaport. The Castle of Emperor Charles V, in the Plaza de Armas, has been remodeled into a Hotel, one of the many Paradores of Spain, owned by the Government. IKETXE Hondarribia, Guipuzcoa. Rural guesthouse, situated in the countryside, 2km of Hondarribia. 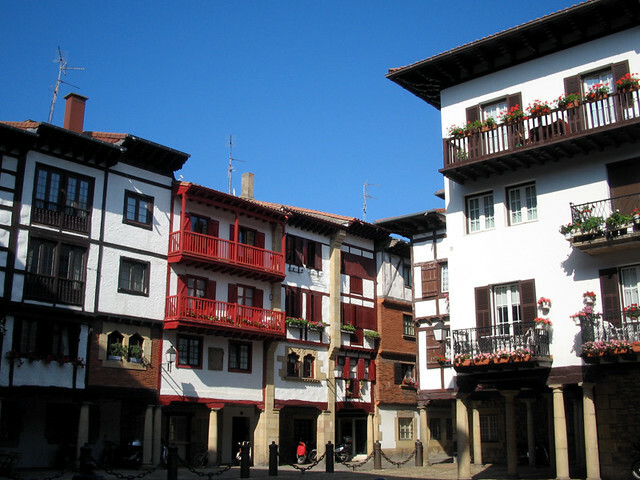 JAIZKIBEL Hondarribia, Guipuzcoa. Situated in the strategic point between Bayonne and San Sebastian, 5 minutes walking distance from the Historic District of Hondarribia, the Jaizkibel is a modern hotel which offers a high quality gastronomic proposal. The heart of the tapas route is between the Santa María Magdalena, San Pedro y Santiago streets, showcasing a great number of taverns. Try Yola Berri C/ S. Pedro, 22 and Gran Sol C/S. Pedro, 63 y 65. Drive along the Jaizkibel panoramic road late in the afternoon, you will witness a stunning sunset. The Church of Santa Maria, the Old Quarter, the Plaza de Armas and the Carlos V Castle, the Fishermen´s quarter. 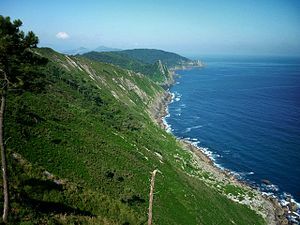 From Hondarribia to San Sebastian, our last stop, you may take the highway or make your way across the Jaizkibel road, GI 3440, the scenic road of the Mount Jaizkibel that runs parallel to the coast, between Hondarribia and the Pasaia. Be aware that if you choose the Jaizkibel, it must be on a clear day, no clouds nor fog, otherwise it turns out to be a very unpleasant experience. Keep an eye 1,5 Km. beyond the Shrine of Nuestra Señora de Guadalupe, you´ll find the Merendero Justiz, look for a very small sign to the right, and then you take the way down to Justiz. And once you arrive, ask for a glass of wine, some “croquetas de jamon”, scrambled eggs, a really good steak and relax. You will enjoy the experience, take a break, sip your wine opposite the fireplace and relax. On your way to San Sebastian, do not miss the Pasaia Bay, Gipuzcoa’s fishing and commercial port. The Pasai Donibane is the prettiest of all four Pasaia and it really is worth a visit. HOTEL DE LONDRES E INGLATERRA Luxury beachfront hotel located along the Bay of La Concha. For me, the best option. HOTEL VILLA SORO San Sebastian, Guipuzcoa. Classy hotel renovated in a 19th century manor house. Located in the centre of San Sebastian, 5 minutes walk from Zurriola beach. Elegant guest rooms, excellent concierge services that will recommend you the best gastronomic experiences and activities to enjoy your stay. HOTEL NIZA San Sebastian, Guipuzcoa. Seaside charming hotel, sensational views of La Concha Promenade and bay. You will be enraptured by the mouth-watering flavours, textures and aromas of Basque Cuisine. Fish and seafood that come right from the sea to your table, the aroma of roasted lamb, the colourful trays full of tasty pintxos displayed at every bar counter. Hot and cold pintxos of wild mushrooms, foie gras and caramelized apple, tuna, shrimps with garlic, “txangurro”, jabugo ham, each placed over a piece of bread. By the sea you will taste “bacalao al pil pil” -codfish with garlic sauce and olive oil-, “marmitako” –tuna and potatoe stew-, grilled fish with olive oil and garlic. Inland, roasted lamb, a large T-bone steak, broad beans with ham and poached eggs, “alubias de Tolosa”, and Idiazabal cheese paired with quince jelly for dessert. The Haute Cuisine Basque gathers several chefs and restaurants, many of them rewarded by the Michelin Red Guide. Don’t miss, at least one meal. For a complete gourmand tour, you must pay a visit to the local market the Mercado de la Bretxa, near to the Old Town. The majority of restaurants and pintxos bars concentrate in the Old Town area. Most bars are standing room only and very crowded, so just take a drink (glass of wine or “zurito” of beer) and a pintxo in a bar,and then move to the next one and so on. Mugaritz. Aldura Aldea 20-Otzazulueta Baserria E – 20100 Errenteria, 13km from San Sebastian, in the countryside. Two star Michelin restaurant, is among the world’s top ten. San Sebastián offers one of the best culinary encounters of your life. You cannot miss the ritual of visiting a traditional cider house “sidrería”. Sidreria Gartziategi is one of the country´s best cider houses, in the road Donosita-Astigarraga Km 5. Cider houses are open from January to April. Best make a reservation -943 469674, for the place is very popular and probably you will not be alone, especially at weekends. For an after hour fun, some drinks and live music, (and a beautiful hangover the next morning), we made our way to the Museo del Whisky, (-942 426478-) Alameda Boulevard 5, Old Town. What do you do on a cold and rainy day in San Sebastian? Eat, and eat well. To try the famous “alubias de Tolosa”, make a short drive to Albiztur, a small town 31 km away from San Sebastián, ready to taste the best “alubiada”, black bean stew with sausages, pork, vegetables and paprika at the restaurant of the village´s town hall, at the Plaza Mayor. 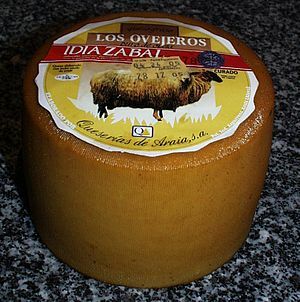 Unforgettable, if pairing with a cold “txacoli” (white wine) of the country. Crowded on weekends, best make a reservation, or wander about the charming surroundings until your table is ready. A very special recommendation, off the beaten track. Inland, in the road Oñate-Aranzazu, km9, Nº 38, we had lunch at Casa Zelai Zabal. This restaurant is 100 year old, and the food is superb. Closed on Sunday nights and Mondays. Be careful on your way back, the road has many sharp bends that may become a bit complicated because of the amount of red Rioja wine, it´s up to you. Bahia de La Concha is a beautiful walk along the promenade. Also the beaches and the Old Town of San Sebastian are a must. Take the N-634 to Elgoibar, then take the GI-627 to Bergara, and afterwards take the GI-2630 to Oñate, and continue your way to the Shrine of Arantzazu. Oñate and Bergara are both aristocratic monumental towns, set on the rural landscape. Restaurante Lasa is a good option to have lunch, in the outskirts of Bergara on the road that leads to Mondragon. 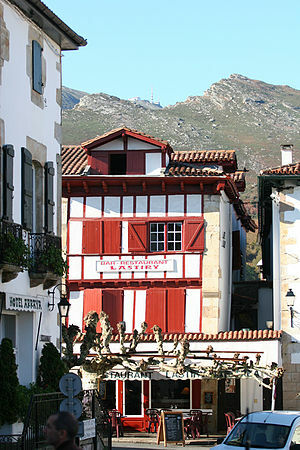 Lasa is located in a magnificent building built in 1565 on the banks of the Deba river. Take the GI-631 towards the Sanctuary of Loyola, a must stop. Continue towards Azkoitia, Zumarraga, Ezkio-Itsaso and finally Urretxu. This is a wonderful road along the Urola River. Take the N-634 to Zarauz and Getaria, on the western coast. Zarauz is a nice coastal village with a beautiful beach. Arrive to Getaria just in time for a walk through the village and a gorgeous lunch at the fishing port at Restaurante Kaia-Kaipe. Wow! Just what I need for my food based trip to San Sebastian this July! Thank-you for such valuable info. Sure you will have fun and eat delicious food! Enjoy!